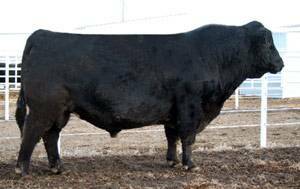 062 is the #1 WW & #4 YW EPD bull in the breed! He was born in 2003 and has many calf crops on the ground, so his EPDs are proven through progeny, not built on one herd wonder proofs. He is a definite heifer bull, ranking in the top 5% for CED & top 10% for BW. He is in the top 3% for SC and top 1% for both $W & $F. Join progressive breeders like Connealy, Knoll Crest Farms, and Vermilion among others who are using 062!